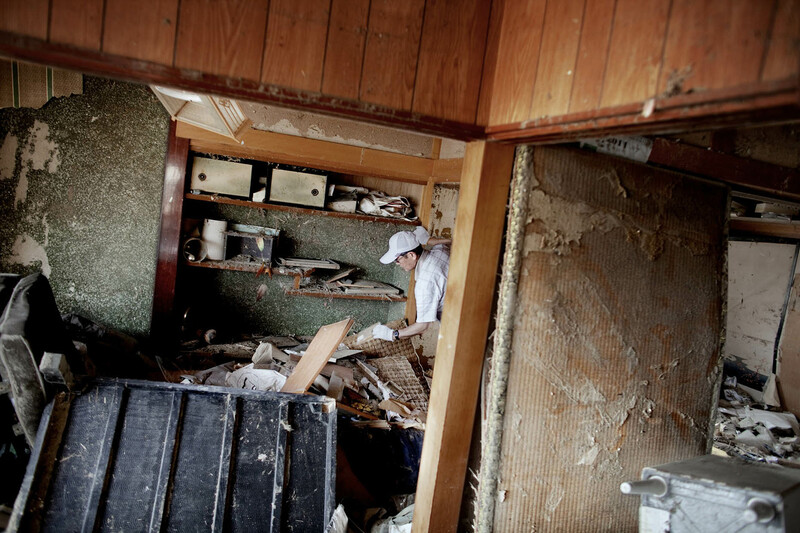 Japan Sendai Yuriage Isao Akama is looking in his house destroyed by the tsunami for old family photos, For him, the memories are more important than the building. The fishing town Yuriage was almost comletely destroyed by the tsunami that followed the earthquake on the east coast of Japan on March 11, 2011. Three months later, boats still remain far inland, left where they ended their journey on the tsunami wave.